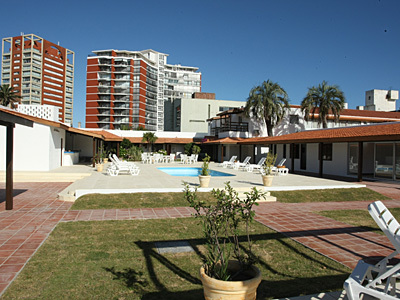 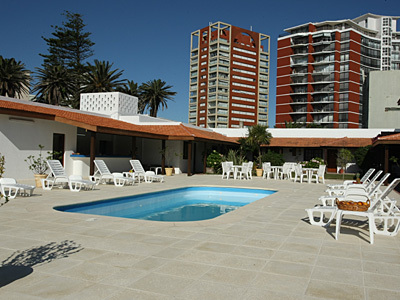 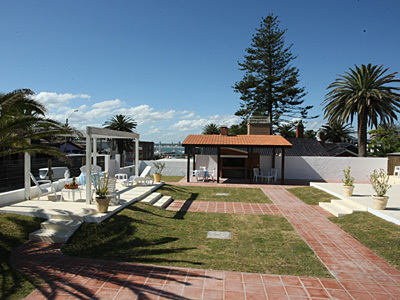 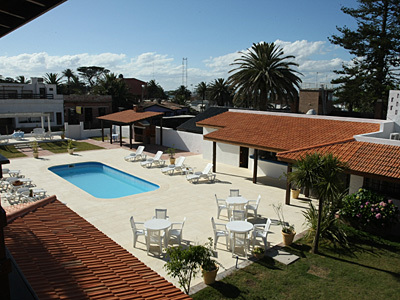 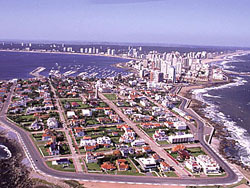 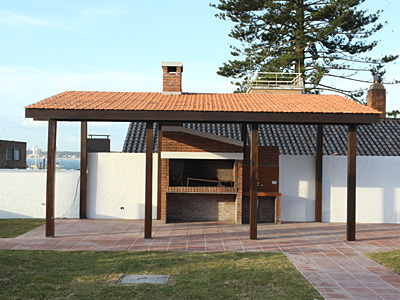 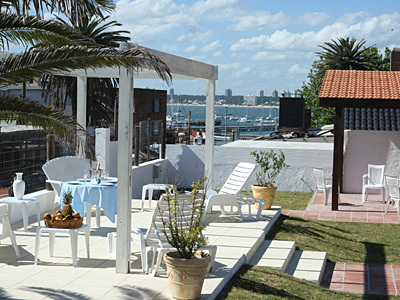 Located at the end of the Peninsula, four blocks away from Plaza Artigas, two blocks away from the Harbor and one block away from The Englishmen Beach. 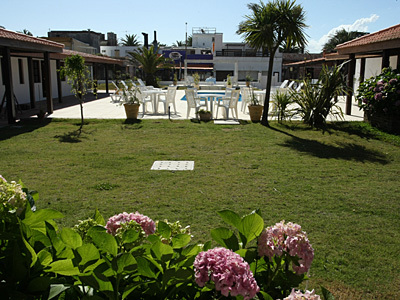 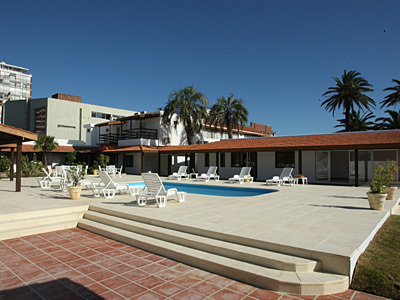 Fully renewed, it has swimming pool, sauna, gym, parking lot and laundry service. 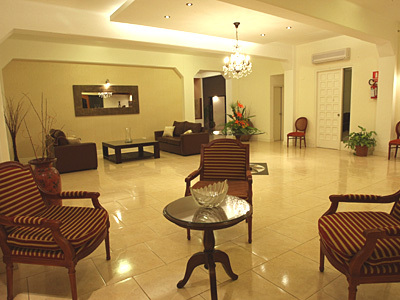 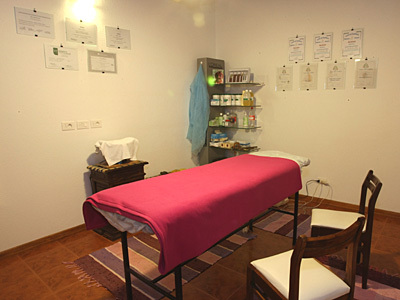 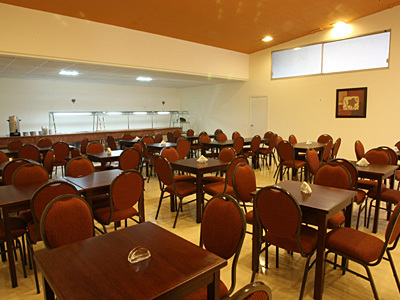 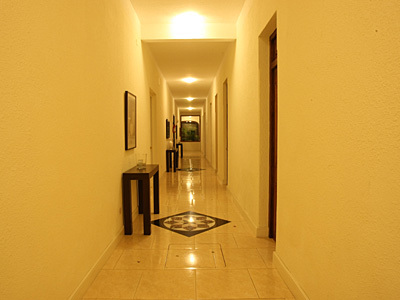 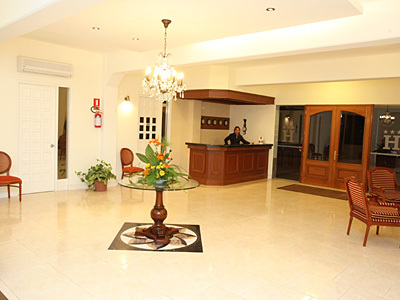 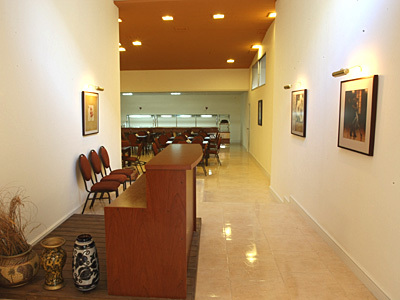 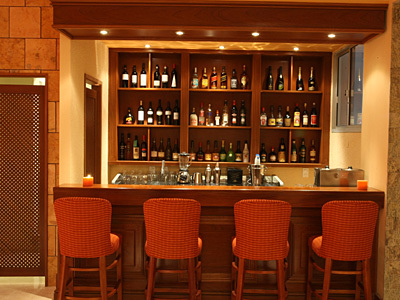 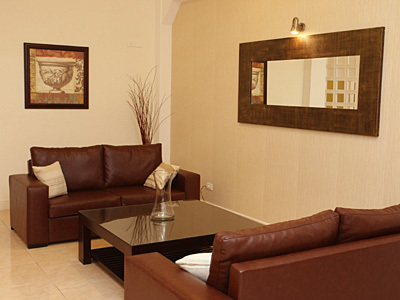 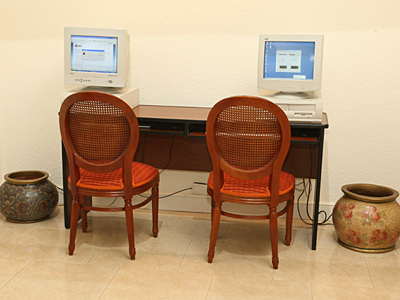 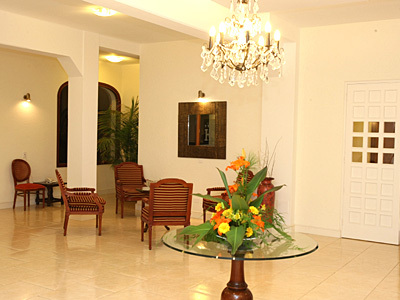 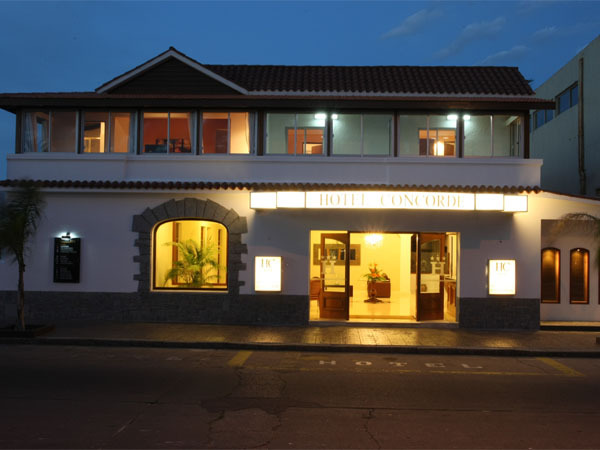 Its rooms have air-conditioning and heating system, safe boxes, phone, mini-bar, Cable TV, hair-dryer and Wi-Fi. 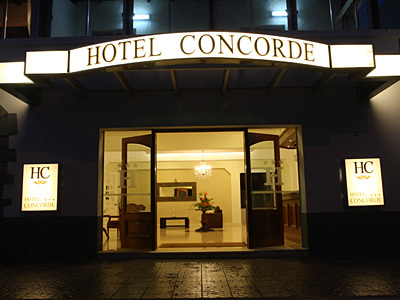 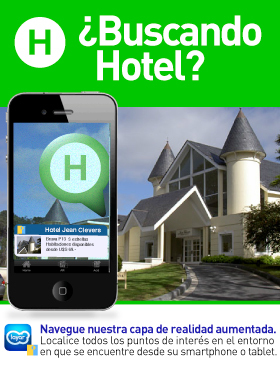 Main | Accommodations | Rates | How to get there? 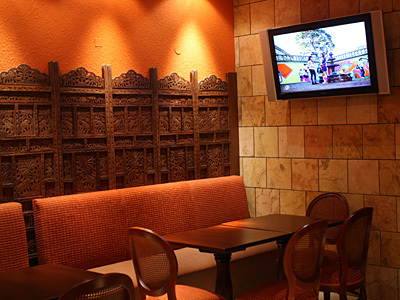 Breakfast time From : to : hrs.